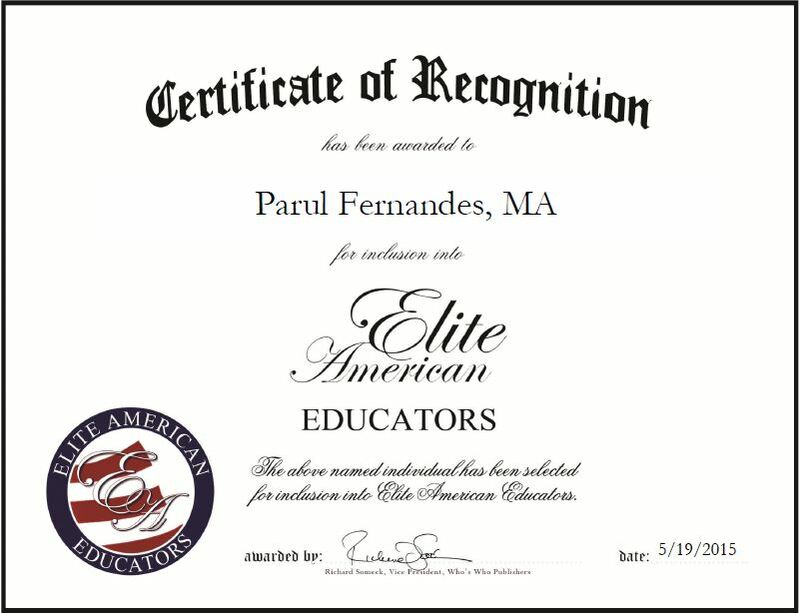 Houston, TX, May 19, 2015, Parul Fernandes, MA, Retired Director of the Office of International Studies and Programs at the University of Houston, has been recognized by Elite American Educators for dedication, achievement and leadership in international curriculum development. Ms. Fernandes began her career in the education field back in India where she taught English to native and international students. She served as a senior lecturer at Ness Wadia College of Commerce for more than 17 years before serving in other educational positions, including project officer and project writer for the Summer Institute of Global Education. 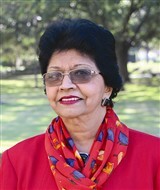 In 2011, Ms. Fernandes joined the University of Houston as the director of international studies and programs. In the role, which she held until 2014 when she retired, she was responsible for managing and supervising the office, developing the infrastructure, writing policies and procedures, making contracts, staffing, creating two special programs for the students to accelerate their graduation, and providing strategies and policies for internationalization of higher education institutions. Ms. Fernandes dedicated 42 years of service to the education industry. She won numerous awards for her work, including Outstanding Leadership Award from Phi Beta Delta at the University of Houston, Award of Appreciation from Houston Community College, and the Woman of Excellence Award for Professional Category. She attributes her success to the experiences her parents gave her as a child; her family loved traveling and went away for holidays frequently. Although she is retired, Ms. Fernandes continues to stay active in the education field by serving as a consultant for XPAN International. This entry was posted in Higher Education and tagged consultant, global education, international curriculum, international students, policy writing, university. Bookmark the permalink.